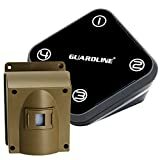 If you walked into a security accessory, store in the 1990s and asked for a motion sensor, you would be given a contraption to hang in a particular area in your house, let’s say your garage. The device would then automatically switch on a light or trip an alarm that scares away an unknowing burglar. Unfortunately, the effectiveness of these gadgets always came into question because of the false positives. In other words, a Raccoon scavenging in your trash would trigger an alarm from these motion detectors. Subsequently, you would be thrown into a panic only to find a Raccoon enjoying your dinner leftover. In case you switched them off the risk of theft would augment; thus, throwing you into a paradox situation where you could be forced to choose your sleep or the expensive TV. During the same time, if you asked for a presence detector you would, either end up with a motion detector being forced on you by a compelling market, or you would be considered a science fiction fanatic. 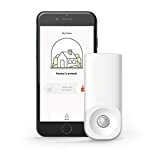 Fast forward to the 2010s and motion detectors are still the mainstay of home security systems; however, much improved. Currently, homeowners are exposed to a multitude of motion detectors that do not wake you up at night when a Raccoon is busy vandalizing your rubbish bin in the backyard. Additionally, today you are able to go to a home security shop and end up with a genuine presence detector. Nevertheless, what is the difference between the two gadgets and what best suits your home? A motion detector is the Linchpin of your home security considering it’s the main device that detects movement in an area. When a sensor is tripped, the device sends a signal to your security system’s control panel monitoring center, highlighting the existence of a potential threat. Subsequently, this triggers an alarm. Today’s motion detectors work intend with CCTV systems; consequently, making you identify your intruder. Easy to install; subsequently it can be placed where you wish. Most motion detectors on loops may work against securing homes. A presence detector is used to identify if an individual has got into or out of a secured area through changes in the prescribed surrounding and not movement. 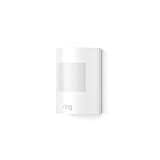 For instance, in the instance a burglar sneaks into your home, a presence detector tags his or her thermal radiation, which it later converts into an electric signal, which alerts you of an intruder. In this case, the burglar doesn’t need to move to be detected; the heat from their body in contrast to the room temperature is enough. In reference to the particular model of the device used, the area that can be covered by a presence detector may vary from your entire home to a selected. The signal of most Presence detectors can ordinarily travel through walls as well as windows.